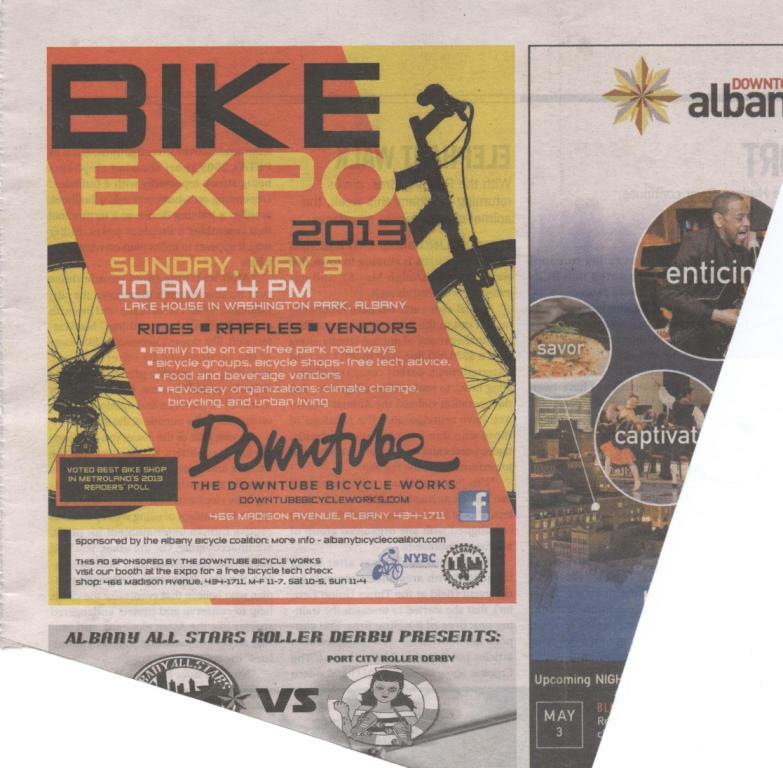 For a second year running, the Downtube Bicycle Works has sponsored a nice big Bicycle EXPO ad in the 5/2/13 Metroland. In addition to ad sponsorship, the Downtube will celebrate its third year at the EXPO with a booth featuring its products and maintenance services. Come to Bicycle EXPO 2013 in Washington Park on Sunday, 5/5/13 from 10-4 to visit with the Downtube and the 30+ other vendors.